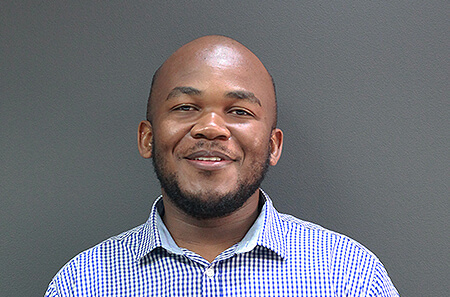 The latest addition to the Realm Digital Development team is Archie Makuwa. We had a chat to get to know him a bit better. Archie has been doing web-development since 2009, and more professionally as a full-time job from 2012. His work experience includes stints at various digital agencies and corporate companies, and more recently as a Freelancer from 2012 to 2018. Some of the projects he has previously worked on include GSMA, All Life Insurance, Chicken Licken and DSTV. While his focus is development, he hopes to be exposed to more DevOps. Outside of the office he enjoys hiking and contributing to open source projects. He is also a self-confessed audiobook and podcast addict. “I consume on average about 32 hours per week – so much to absorb, so little time”. Welcome aboard, Archie. Great to have you with us! If you’d like to join the Realm Digital team, take a look at the vacancies currently available.